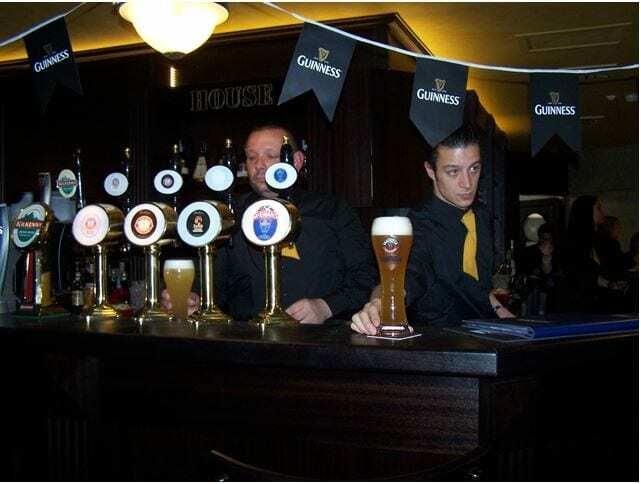 The Pub Guinness House aims at serving, high-quality and fresh food, at a very competitive price. Everything is freshly made: from pasta dishes to burgers, from pizzas to the bread that accompanies the meat, all in an effort to provide its guests with the best possible quality! The owners, Roberto Ferro and his wife Maria Grazia, are making sure of it, thanks to their past experience in opening several other locations in the Novara province. Zanussi Professional’s official agency for the province of Novara, Crime Srl, has always assisted the Ferro family with the design and supply of kitchen equipment for the other facilities already opened. For the Guinness House, the first contact began in late September, when the whole project was already clear to the owners but the location was still unknown. 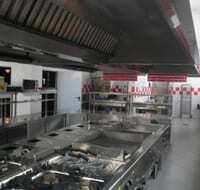 After finding the right spot, all the rest fell into place: on the one hand, Crima srl focused on the layout of the kitchen, looking for the best solution to optimize the workflow to ensure that the cooking and food production process could be performed quickly, while on the other hand, the Ferro managers wasted no time in attending numerous cooking technique courses, organized at the Electrolux Center of Excellence in Pordenone, and then performing cooking tests at the demo kitchen of Crima srl. The 102 square-meter space devoted to the kitchen is fully equipped with Zanussi Professional appliances and is capable of serving more than 500 people at the time. At the very center of the kitchen is the N900 cooking block, overlooked by an extraction system with a capacity of approximately 25,000 cubic meters, surrounded by several hobs with heating shelves that allow the meals to be served always at the right temperature. Among other equipment stands the EasySteamPlus combi oven, famous for its touch panel and its double-chamber especially made for pizza baking. An important space is dedicated to the refrigeration, which includes cold storage, blast chillers/freezers, refrigerated cabinets and tables. 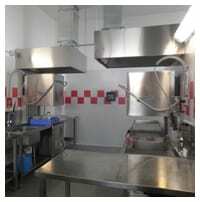 The dishwashing area is equipped with two hood type dishwashers, one dedicated to plate washing while the other is exclusively dedicated to glass washing. The Guinness House invites you to try its famous high-quality, carefully chosen, fresh meat cuts with no added flavors, You cannot simply overlook the delicious burgers, capable of satisfying even the most demanding customers, and now also featuring the 452 g. “Giant” burger and the 226 g. “Mega” burger. In addition to the meat, there are also fantastic pasta and rice dishes, all prepared with the finest and freshest ingredients. Guinness House is waiting for you!